By Darragh Mowlds | March 4, 2013. After an embarrassing defeat to Scotland, Ireland needs to move on in more ways than one. “What a shame” is a phrase that sums up Ireland’s performance against Scotland in the RBS Six Nations. What a shame that Ireland couldn’t convert their incredible level of possession into points. What a shame that the Paddy Jackson gamble didn’t pay off. What a shame that Declan Kidney may have to leave his job in somewhat unglamorous circumstances. 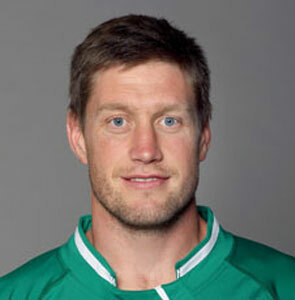 However, the biggest shame of all is that Ronan O’Gara’s time as an international force appears to be over. So much was wrong with Ireland’s performance that it’s almost frivolous to go into it. It’s one of those games that you have to forget and move on. As frustrating as it was for all concerned, these games happen. What I can’t move on from is the demise of the once incredible O’Gara. People have said that he didn’t have enough time in the Scottish and England game to make any impact. I’m sorry, but does that not point out a lack of confidence the management has in him? Had he been the player he once was then surely he would have started against Scotland. His ill-advised chipped kick that eventually led to a Scottish penalty was frankly, embarrassing. I hate to say it, but is it time for Ireland’s all-time leading point scorer to bow out now, rather than be ushered out of the squad like Peter Stringer was? There is strength in the Irish ranks in the pivotal No. 10 position. Sexton will be first choice for at least the next four years. When he goes we have Paddy Jackson, who although had a poor kicking game against Scotland, has proved that he has excellent potential for Ulster. Not only that, but Sexton’s understudy at Leinster, Ian Madigan has been playing very well for the province in Sexton’s absence. While it may be hard for both parties to walk away in the case of O’Gara, he will always be the man who kicked the grand slam drop goal. O’Gara will always be the man who put his heart and body on the line countless times for club and country; he will go down in history as one of our greatest ever sports stars. Extending a career and tarnishing the legend would be a real shame.